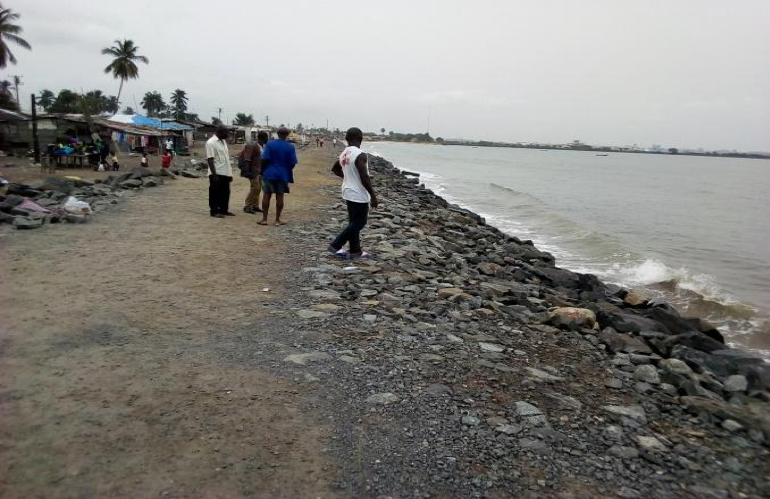 Monrovia – Residents of Cornel West Community in the Borough of New Kru Town have raised concern over the durability of the Coastal Defense System along the shoreline of the Atlantic Ocean. The community is within the vicinity of the D. Tweh High School, which has been facing sea erosion. President George Weah on Monday, April 8, 2019, carried out an inspection to ascertain the level of work on the project. The residents are afraid that it might create a troubling situation for them during the rainy season instead of resolving their lasting flood situation. 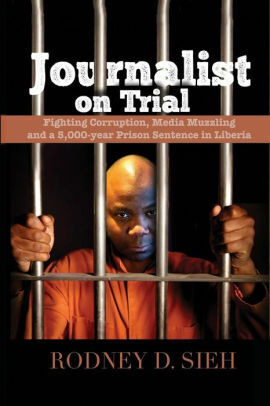 One of the residents, Wleh Sayon, who spoke with FrontPageAfrica suggested that the Coastal Defense System should have been erected from within the main seaway than constructing it along the shoreline of the Atlantic. “They should have carried the rock all the way into the water because it is at this bank that the water usually makes its break before rising to overflow into the community,” Sayon explained. Sayon said since he moved in the community in the 1970s, he usually observed the tide of the sea rising very high from the shoreline where the coastal defense system is being erected. “Whenever the rain falls, the sea tide can rise very high above the level of this coastal defense system they are constructing, and we believe that this rainy season it will be troubling, because it rises right where the project stops,” Sayon asserted. Sayon said it would have been important for the engineers to get community members’ views on the situation surrounding the sea erosion before carrying out the project. Another resident, Washington Nimely expressed frustration over the manner in which sea erosion continues to encroach the Borough of New Kru Town. Nimely says the sea erosion has swept away eight different communities, including sports grounds and major streets in the Borough during the ’80s. Sea erosion has been a major problem that has caused disaster for communities along the Atlantic Ocean, with West Point, New Kru Town and Buchanan City amongst the worst affected communities. Decontee Diagbeh says due to doubts over the effectiveness of the Coastal Defense System, they are now worried about preparing for a possible flood disaster.